Kia officially announced its India entry at 2018 Auto Expo and the first model from the Korean manufacturer is going to be production version of SP Concept, which made its global debut at the Expo and likely to be badged as Kia Tusker. The company is expected to carry forward the same design theme of concept model to production form. 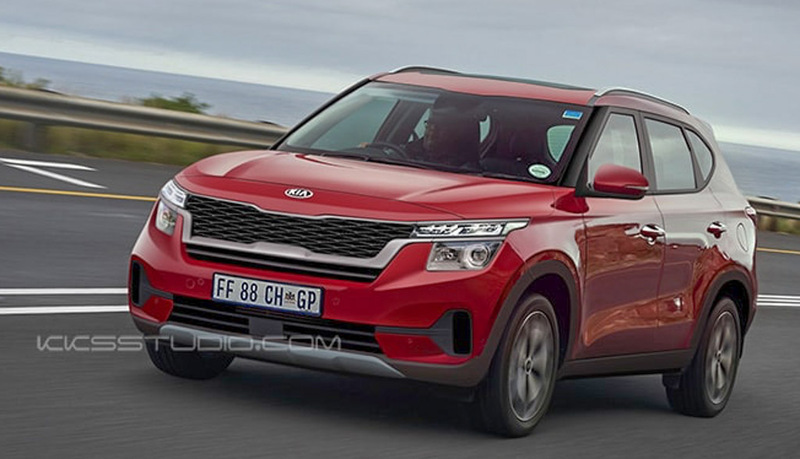 The production model is going to be based on Hyundai Creta platform and both models will share lots of components as it will help Kia to reduce cost. The front gets large headlamps, which will come with projectors or LEDs along with big front grille and new front bumper gives a muscular look for the compact SUV. The side gets big wheel arches with 17 or 18 inch alloy wheels and the company will give black plastic cladding, which runs across the body to give SUV look. The rear gets LED tail lamps along with new bumper and integrated spoiler. Overall, the exterior design of compact SUV is appealing to lots of customers. The interior is going to be upmarket like Creta as it will be loaded with lots of features like touch screen infotainment system, climate control, cruise control, leather seats, rain sensing wipers, sunroof, steering mounted controls and more. We can expect Kia to offer good interior space and the production model will be a 5 seater. Kia and Hyundai are currently working on new diesel and petrol engines, which will meet BSVI emission norms and the new engines will be much cleaner than current generation of engines. The new BSVI 1.5 L petrol and diesel engines are going to make its debut in SP Concept production model and then it will be introduced in other Hyundai models. The 1.5 L diesel engine is expected to produces 115 hp of power and 250 Nm of torque. The petrol engines will produce similar power output to current 1.6 L units. These engines will be mated to manual and automatic gearbox. Kia is going to launch the compact SUV by the middle of next year. The new generation of Duster made its global debut at 2017 Frankfurt Motor Show. Renault was expected to launch new Duster this year but the company is focusing on Captur to continue the growth and Duster is expected to make its India entry next year. The India spec Duster will be based on same platform as current model. The Duster comes with an evolutionary design theme as customer feedback was not to change the design theme but the company has made changes to all the body panels and they are completely new. The front get new grille along with tweaked headlamps with integrated LED DRLs. The bumper also gets a new design theme. The side profile is similar to current model but the French manufacturer has given new alloy wheels and roof rails are finished in silver colour. The antenna has been repositioned to rear as the company has given new LED tail lamps along with updated bumper. These design changes gives a fresh feel for the Duster. The interior also get lots of changes as the dashboard design is completely new as the Duster comes with new three spoke multi-function steering wheel with audio and other controls. The centre console get new infotainment system and digital switch gear for climate controls. The quality of materials used in dashboard has also improved. 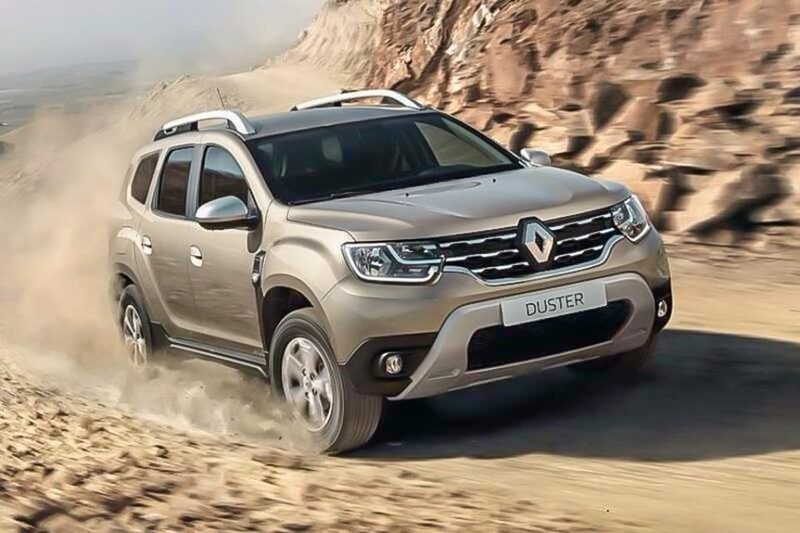 The Duster will be loaded with lots of features like touch screen infotainment system with Apple CarPlay and Android Auto, leather seats, reverse camera with parking sensors, cruise control, rain sensing wipers, electronically control OVRMs, key less entry, push button start and more. Renault will continue to offer same 1.5 L petrol and diesel engines but these will be tweaked as it will meet BSVI emission norms. The power output is expected to be same but the efficiency will improve and the company will offer both manual and automatic transmissions with two wheel drive or four wheel drive option. Tata Motors is finally going to enter compact SUV segment with Harrier. The company showcased the concept version of Harrier, which is codenamed as H5X at the 2018 Auto Expo. The production version will continue to offer same design theme as concept model and it is going to be one of its USPs as the concept model was so popular across customers. The front gets new LED headlamps, which extend towards front grille and the bumper also get a new design as it gives a muscular look for the Harrier. The company has given big wheel arches and new alloy wheels. The third row glass area get a unique design as it extend towards rear glass thus creating a wrap around effect. The rear also comes with new LED tail lamp and the bumper get a muscular design. Overall, the exterior design of Harrier will appeal to all age group. The Harrier production model will be based on revised Discovery Sport platform but the company won’t share parts with luxury SUV as it will increase cost. We can expect the interior to offer excellent space for front and rear passengers with good boot space also. The dashboard design of Harrier is completely different from current Tata products and the quality of materials will be much better. Like all Tata products, the Harrier will be loaded with lots of features. The Harrier comes with touch screen infotainment system with Apple CarPlay and Android Auto, climate control, key less entry, push button start, leather seats, cruise control, reverse camera with parking sensors, sunroof, electronically controlled OVRMs, rain sensing wipers and more. 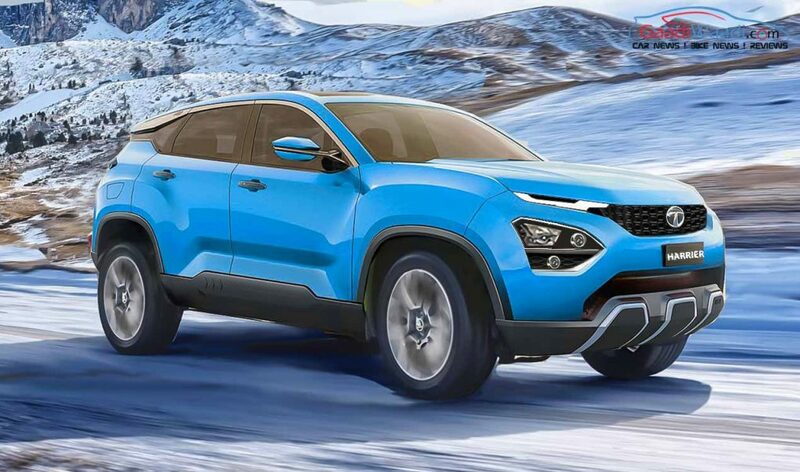 Tata Harrier will be powered by 2.0 L diesel engine sourced from FCA which also does duty on Jeep compass producing 140 hp of power and 320 Nm of torque. This engine will be mated to manual and automatic gearbox with option of front wheel drive and four wheel drive system. The Harrier is expected to be priced aggressively. Honda recently revealed HR-V facelift in global market and the Japanese manufacturer is going to introduce the new model in Indian market also. The company hasn’t made lots of changes for the facelift model as the front get new grille along with tweaked headlamps and updated grille. The side gets new alloy wheels and rear gets LED tail lamps along with updated bumper rounds of exterior changes. The interior get new front seats, which offer good support for the body and reduce stress on long journeys. The dimensions also remain the same for the facelift model with good interior space. The HR-V is loaded with lots of features like touch screen infotainment system with Apple CarPlay and Android Auto, climate control, key less entry, push button start, cruise control, leather seats, sunroof, LED headlamps, reverse camera with parking sensors, rain sensing wipers and more. Honda has improved quality of materials used in dashboard. The company has also focused on improving cabin insulation as extra sound absorbing materials are placed on front and rear. In European models, the company is also offering active noise cancellation, which works with speakers. 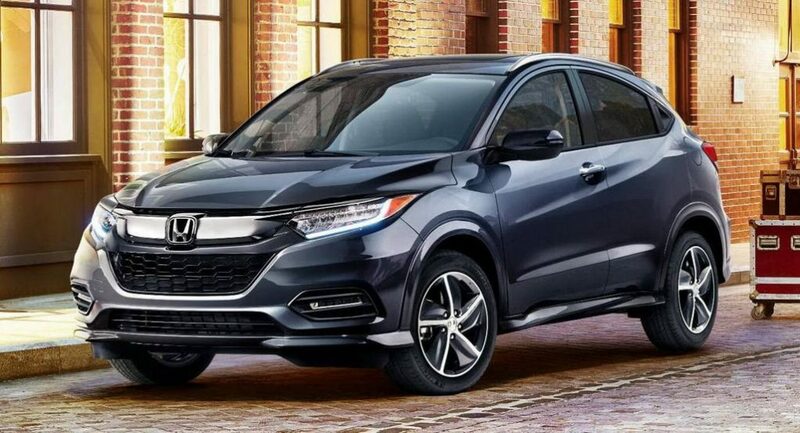 The HR-V also comes with lots of safety features like Honda Sensing as it comprises of Road Departure Mitigation, Lane Keeping Assist, Collision Mitigation, Lane Keeping Assist and Adaptive Cruise Control. Apart from this, the HR-V gets six airbags, ABS, EBD, traction control system and more. Honda HR-V is powered by 1.8 L i-VTEC engine producing 141 PS of power and 6,500 rpm and 172 Nm of torque. In India, we also expect the company to offer same diesel engine from Civic and CR-V. These engines are mated to manual and automatic gearbox. The HR-V will be priced aggressively to take on the established rivals. Groupe PSA is going to introduce Citroen brand in India and the first model from the company is going to be C5 Aircross, which made its global debut earlier this year. 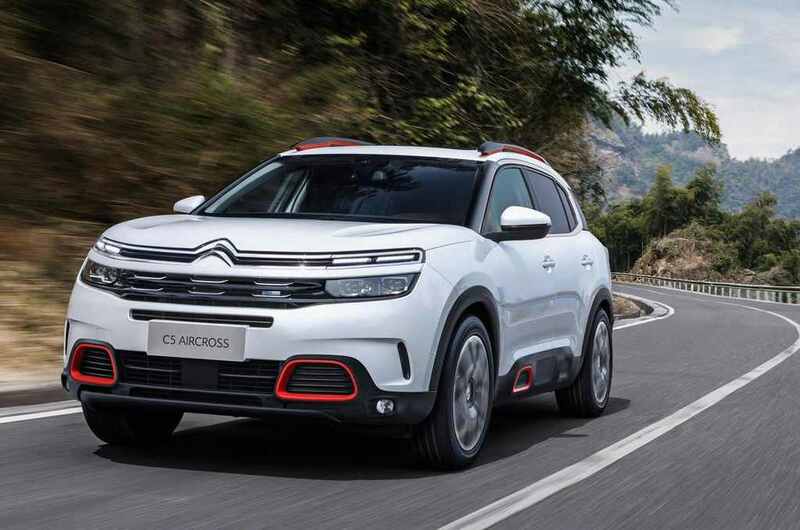 The C5 Aircross continues the querky design theme of earlier Citroen models as the company has given boxy design theme for the crossover. The front get signature Citroen grille along with big projector headlamps and LED DRLs are placed on top. The bumper also get new design theme and trapezoidal red inserts on the lower part of the bumper as the company has also given two small fog lamps on either side. The C5 Aircross comes with black plastic cladding, which runs across the body. The side get big wheel arches along with alloy wheels, which has a unique design to it. The company has also given roof rails and third row glass merges with rear glass as it gives a wrap around effect for C5 Aircross. The rear get new LED tail lamps and number plate is placed on door instead of the bumper like most SUVs. Overall, the exterior of C5 Aircross is attractive. The interior of C5 Aircross comes with an upmarket design theme as the company has given three spoke multi function steering wheel with an all digital instrument cluster and dual tone colour theme for the dashboard. The infotainment system is integrated into the centre console and AC vents are placed on either side. The C5 Aircross is loaded with lots of features like touch screen infotainment system with Apple Carplay and Android Auto, climate control, leather seats, push button start, key less entry, leather seats, sunroof, reverse camera with parking sensors and more. The company has also given safety features like airbag, ABS, EBD, traction control and more. Citreon will offer C5 Aircross with petrol and diesel engines with different power outputs and it will be mated to manual or automatic transmission. In European market, the C5 Aircross also get plug-in hybrid technology and it has an all electric range of 60 km. The C5 Aircross is expected to be launched by the middle of next year with aggressive pricing. 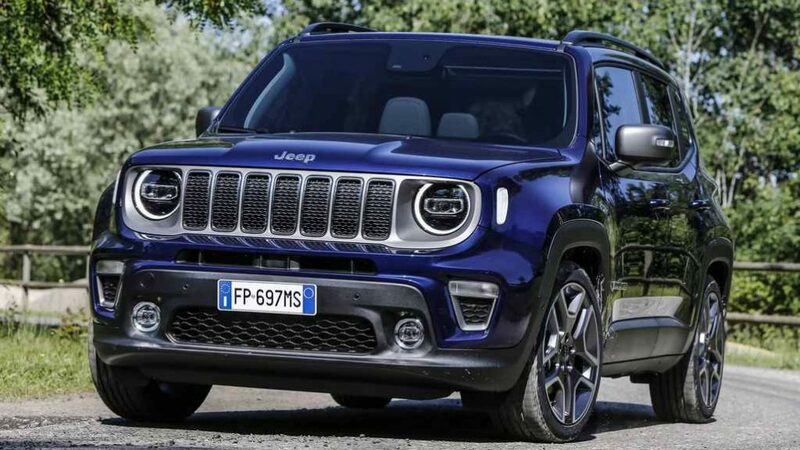 Jeep is going to introduce its smallest product Renegade in India and the American manufacturer recently revealed an update for the compact SUV. The Renegade follows the same design theme like its sibling as the company has given signature Jeep grille along with round projector headlamps and indicators are placed on the side. The company has given new front bumper and the Renegade get black plastic cladding, which runs around the body as it comes with new alloy wheels in different sizes. The rear gets new tail lamps with a unique design along with an updated bumper round of the exterior changes. Like exterior, the interior also get similar design to other Jeep models and it is finished in black colour. The company has also given three spoke steering wheel with updated instrument cluster and new infotainment system placed on centre console and AC controls are placed below it. Jeep is also offering customizing options with different colour for AC vents. The Renegade comes with lots of features like touch screen infotainment system with Apple CarPlay and Android Auto, climate control, push button start, key less entry, leather seats, reverse camera, projector headlamps, electronically controlled OVRMs and more. The company has also given safety features like six airbag, ABS, EBD and more. Jeep Renegade will be powered by 2.0 L diesel engine with 120 HP and 1.4 L MultiAir petrol with 100-110 HP. These engines will be mated to 6 speed manual and automatic transmission. The American manufacturer might offer four wheel drive system with Renegade and the company is expected to price the model at a premium. Toyota officially revealed new generation of C-HR last year and the model was spotted testing in India earlier this year. 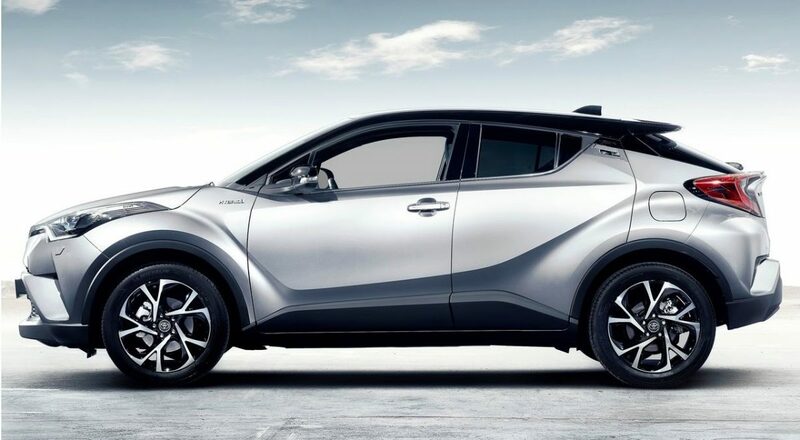 The company is planning to introduce C-HR in India as the compact SUV segment is witnessing excellent growth. The C-HR is so popular around the world for its design theme and it will be one of its USPs. The C-HR design is unique as it has lots of cuts and curves, which will make it stand out from the competition. The company has given projector headlamps with DRLs, which extend towards front grille and the fog lamps are placed on the lower part of the front bumper. From the side, the C-HR looks like a small crossover because of its design. The rear get unique C-shape LED tail lamps and an integrated spoiler at rear. The reflectors are placed on either side of the bumper. The interior of C-HR continues the same unique design theme like exterior as it comes with three spoke multi-spoke steering wheel with controls for audio and other functions. The company has given 8 inch tablet like design for the infotainment system, which is placed on the top of the dashboard as it is finished in black colour and the quality of materials used inside the cabin is top notch and it comes with features like touch screen, climate control, leather seats and more. 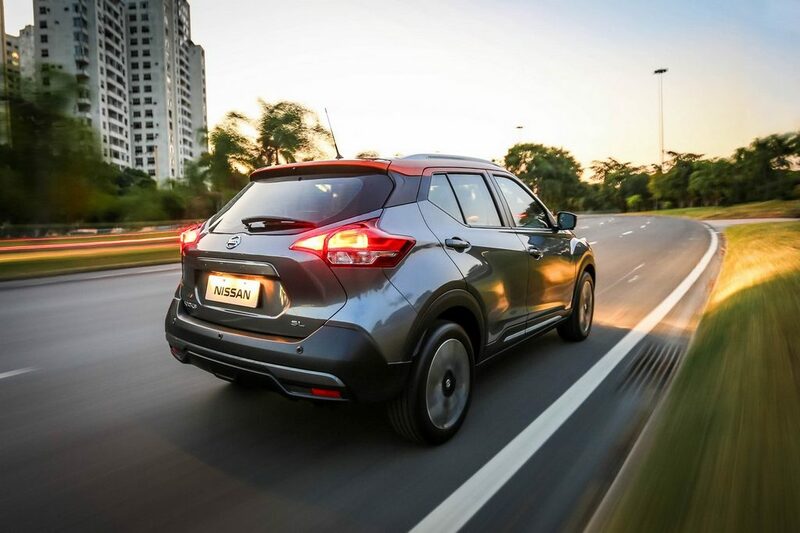 The C-HR is loaded with safety features like Lane Departure Alert, Automatic High Beam, Pre-Collision System with pedestrian warning, Road Sign Assist, Adaptive Cruise Control and more. The compact SUV is based on Toyota New Global Architecture (TNGA) platform. Globally, Toyota is offering lots of engine options for C-HR. In India, we are expecting Toyota to introduce hybrid powertrain system as it will give excellent fuel efficiency and the Japanese manufacturer is not offering diesel engine option. The C-HR comes with 1.2 L turbocharged petrol engine from Prius with 114 hp. This engine is coupled with either six-speed manual or CVT transmission. 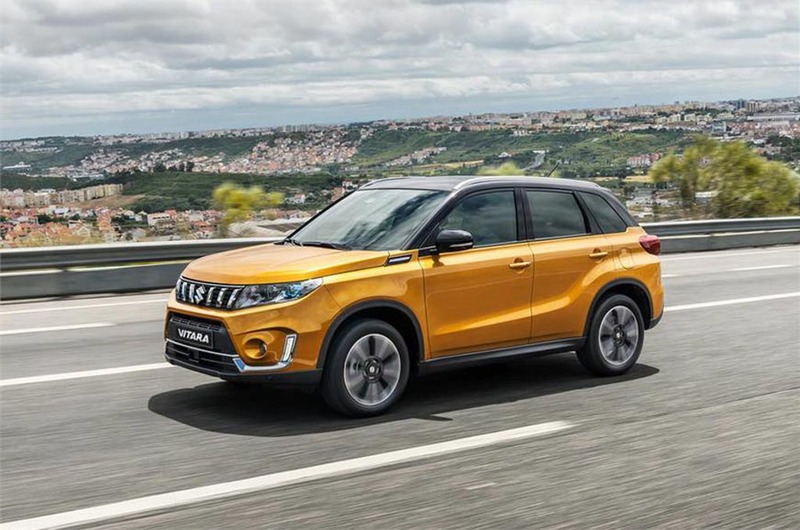 Maruti Suzuki is finally going to introduce Vitara in India and the company has recently revealed an update for current model in global markets. The Vitara facelift model comes with new front grille along with updated headlamps and new bumper at front, which gives a fresh feel for the Vitara. Like most of its rivals, the Vitara also get a black plastic cladding, which runs across the body. The side continues to have the same design theme as previous model with big alloy wheels. The rear gets new LED tail lamps and the graphics are slightly different from previous model. The bumper also receives an update. The interior continues the same design theme as previous model but the instrument cluster has been revised and it comes with new MID screen in middle with lots of information for the driver. The materials used in dashboard are new and quality has gone up. To give premium feel, the dashboard gets soft touch materials. The Vitara will be packed with lots of features which include touch screen infotainment system with Apple CarPlay and Android Auto, climate control, steering mounted controls, projector automatic headlamps, cruise control, leather seats, electronically controlled OVRMs, cooled glove box and more. Globally, Suzuki offers lots of safety features with Vitara like autonomous braking system but these systems are not expected to come in India spec model as it will increase cost significantly. But Vitara will come with atleast 6 airbags, ABS, EBD, traction control system, tyre pressure monitoring system and more. The Vitara is powered by new 1.0 L Boosterjet with 110 bhp and new 1.4 L petrol engine with 140 hp. In India, we can expect Maruti Suzuki to use the newly developed 1.5 L diesel and petrol engines as these will meet BSVI emission norms. These engines will be mated to manual and automatic transmission. Maruti Suzuki is expected to launch new Vitara by next year. Volkswagen is going to reveal T-Cross soon as it will be the entry level SUV of the German manufacturer. The T-Cross SUV will be based on new generation MQB A0 platform, which is also the base for new generation Polo. We can expect Volkswagen to introduce T-Cross in India and it will be based on MQB A0 IN platform. The design is going to takes inspirations from latest VW products as front get small LED headlamps, which extend towards front grille with Volkswagen logo in the middle. The front bumper comes with fog lamps on either sides and the company will give silver finished skid plates. The side design reveals the boxy shape of T-Cross. The upcoming compact SUV will share lots of components with new generation of Polo as it will help Volkswagen to keep cost down. The mirror of T-Cross is exactly similar to Polo along with front door design but the rear is completely different as it gets new LED tail lamps along with new bumper. The interior is going to share same design theme as Polo and T-Cross will come with three spoke flat bottom steering wheel with optional digital instrument cluster. The quality of the materials will be high and the company has given black colour for the interior. We can expect VW to offer multiple colour options for interior. The T-Cross will be loaded with lots of features, which include touch screen infotainment system with Apple CarPlay and Android Auto, climate control, leather seats, cruise control, key less entry, push button start, reverse camera with parking sensors, sunroof and more. We can expect T-Cross to come with new generation of safety features also. Volkswagen T-Cross will be powered by same engine options from Polo as they include 1.0L TSI, 1.5 L TSI, 2.0 L TSI, 1.6 L TDI and 2.0 L TDI units. These engines will be mated to manual and automatic transmission. The company hasn’t given details about whether it will come with four wheel drive system or not. The T-Cross is expected to be one of the products considered for Indian market. 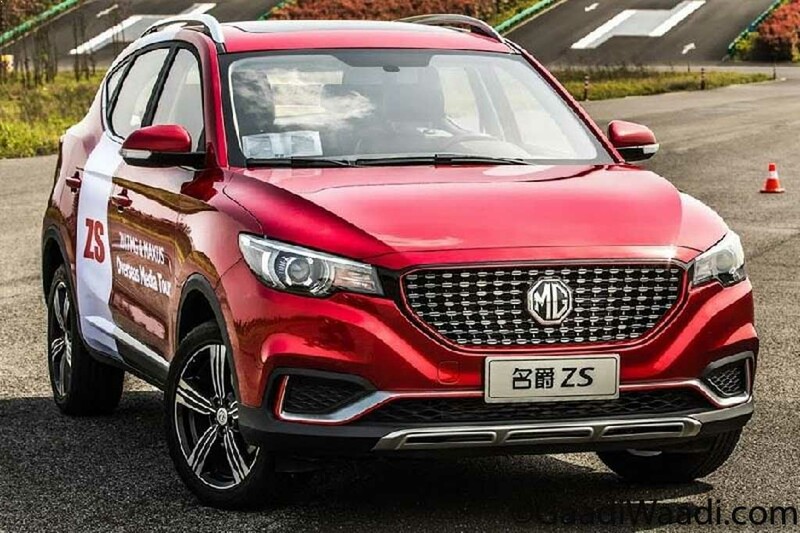 MG Motor is going to make its official entry into India next year with the launch of a ZS compact SUV. The model has been already spotted testing in India and the company is going to assemble and manufacturer the model at Ex-General Motor’s Halol plant in Gujarat. The ZS compact SUV gets honey comb front grille with MG logo in the middle followed by swept back projector headlamps with integrated DRLs. The front bumper gets a simple design with large fog lamps. The company has also given skid plates at front, which gives it a SUV appeal. Like most of the compact SUVs in our market, the ZS also gets black plastic cladding which runs across the body. The wheel arches are not big like some of its competitors as MG has given 5 spoke alloy wheels along with roof rails. The rear comes with LED tail lamp and overall, exterior design will appeal to lots of customers. The interior design of ZS is modern as it gets circular AC vents, which is similar to some Mercedes models and rectangular shape for the AC vents on centre console. The three spoke flat bottom multi-function steering wheel gives a sporty feel for the driver and the instrument cluster is a mix of analog and digital. MG has given excellent space for front and rear passengers with front arm rest. The ZS is loaded with lots of features like touch screen infotainment system with Apple CarPlay and Android Auto, climate control, leather seats, key less entry, push button start, reverse camera with parking sensors and more. European Spec model comes with standard safety features like four airbag, ABS with EBD, ESP, Hill launch assist and more. The ZS is powered by 1.0 L turbocharged engine with 111 PS and 1.5 L VTI-tech with 106 PS. These engines are mated to manual and automatic transmission. We can expect MG to also offer diesel engine in Indian market. VW Group announced huge investment of 1 billion Euros as the German manufacturer want to make its Indian subsidiary more profitable and the project will be lead by Skoda Auto India. The upcoming products will be based on MQB A0 IN as most of the global products are based on flexible MQB platform. 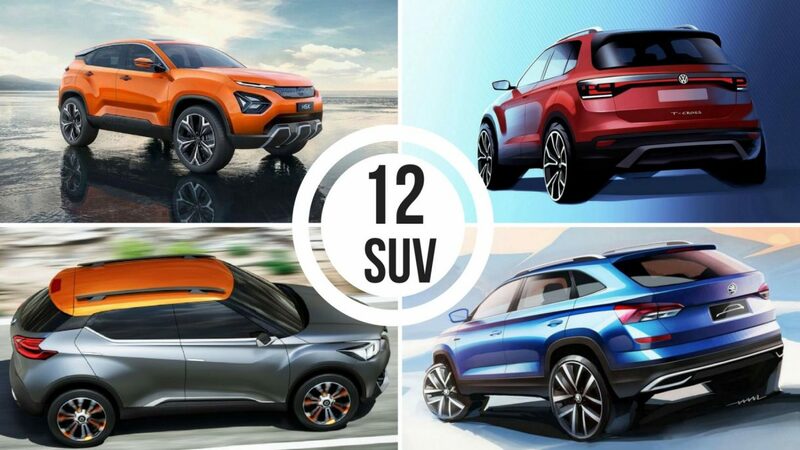 The compact SUV segment in India is witnessing huge growth and the company is planning to launch a new compact SUV, which will be based on MQB A0 IN platform. 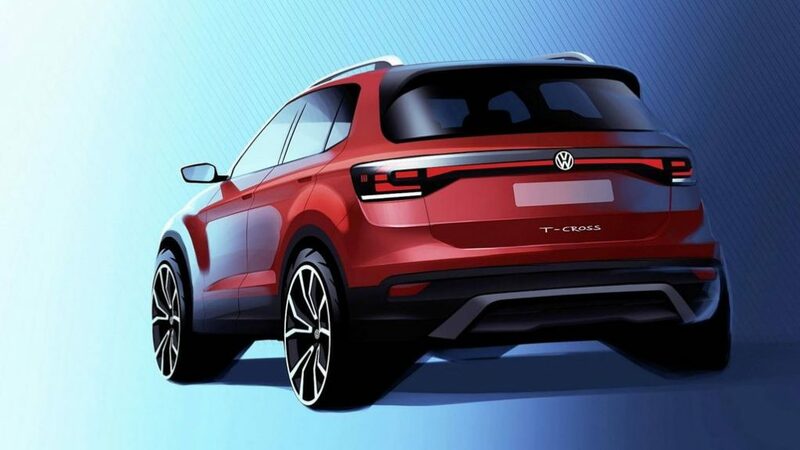 Volkswagen T-Cross is expected to be launched in India and Skoda will also launch a compact SUV based on the T-Cross but the design will be completely different. 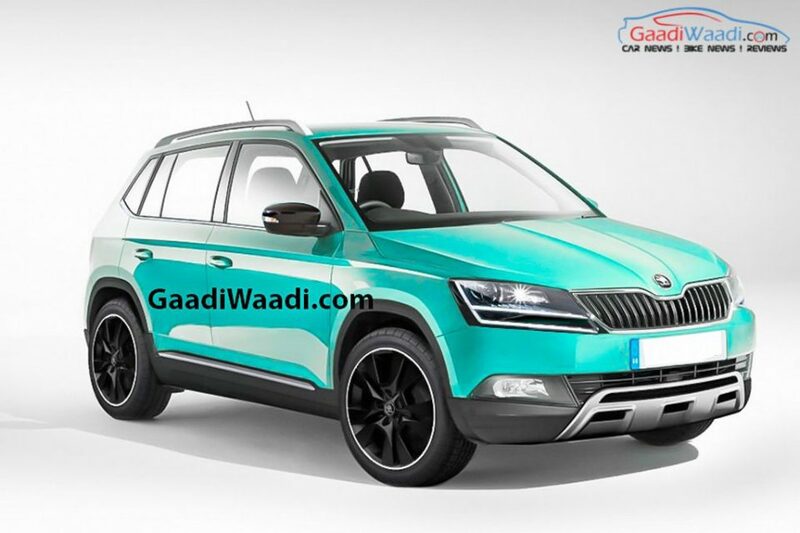 The design of Skoda Compact SUV will be similar to Kodiaq and Karoq as it will come with signature Skoda grille with big headlamps with projectors and LED DRLs integrated into it. The front bumper is new with fog lamps placed on either side and the company will give skid plates for SUV look. The company will also give black plastic cladding, which runs across the body. The side design reveals the compact dimensions but the company will give 16 or 17 inch alloy wheels. The rear gets LED tail lamps and the number plate will be placed on boot. The interior of compact SUV is expected to share components with T-Cross. Skoda will pack the compact SUV with lots of features like touch screen infotainment system with Apple CarPlay and Android Auto, climate control, leather seats, cruise control, reverse camera with parking sensors, leather seats and more. We can expect the upcoming model to come with safety features like airbag, ABS, EBD and more. The engine options include petrol and diesel engines with option of manual and automatic transmission. We are not sure whether the company will offer four wheel drive system in India. Skoda will price the upcoming compact SUV aggressively against competition and it will be launched by the end of this decade. Japanese automaker Nissan has unveiled the Kicks SUV in Brazil recently, which has been designed following the Kicks concept from 2014 Sao Paulo Motor Show, and prior to that the Kicks concept was developed inspired by Nissan Extreme concept from 2012 Sao Paulo Motor Show. 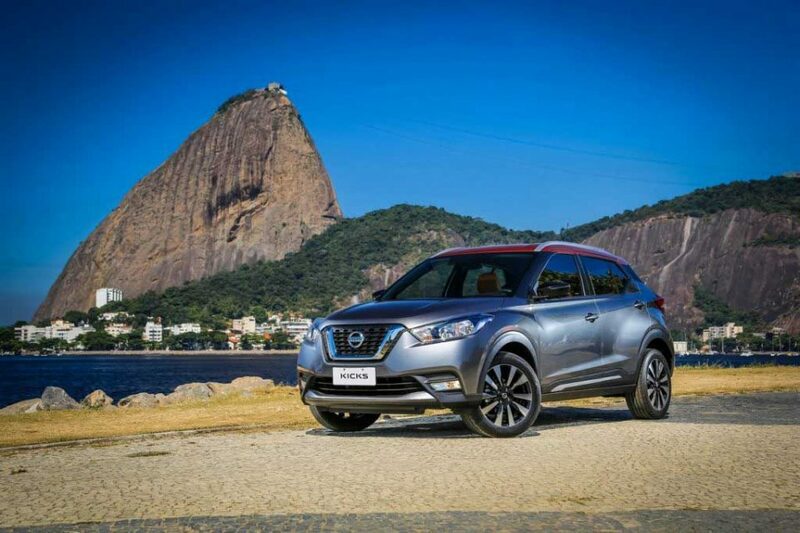 The Nissan Kicks is a stylish compact SUV which has been inspired by the Brazilian culture and lifestyle. The vibrant looking SUV sports sharp swept back headlamp clusters with LED daytime running lights integrated, V motion grille which is seen in the present generation of Nissan models, horizontally slated large air intake, muscular front bumper, skid plate and horizontal fog lamps. The side profile of the car comes featuring flared fenders, side body cladding, and floating roof design with the roof painted in different colour, sporty and aggressive alloy wheels. The rear profile looks stylish as well, and it gets wrap around sharp taillamps, roof spoiler, and skid plate. The interior of the car is equally stylish like the exterior, and it sports multifunction steering wheel, analog and digital display consisting instrument cluster, touchscreen infotainment system at the centre console, sufficient space. Powering the car will be a 1.6 litre Flex-Fuel engine paired with a X-Tronic CVT gearbox which churns out 114 hp of peak power, and the Japanese auto manufacturer claims the engine will be pretty much fuel efficient. In India the car will be rivaling against the very popular Hyundai Creta.